"My tongue is the pen of a ready writer." 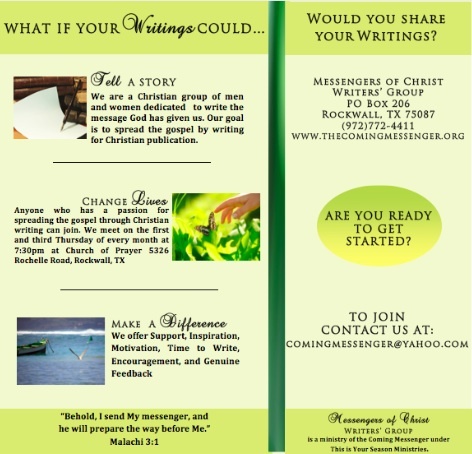 We are a Christian group of men and women dedicated to write the message God has given us. Our goal is to spread the gospel by writing for Christian publication.